Given that the Fiat 500X has been around since 2014, work on an update is underway, and the test vehicles for the revised model have been spotted undergoing tests. Here, a teaser image from Autoblog.it shows us that while much of the structure remains as before, changes have been applied to the headlamp, auxiliary lamp and fog lamp assemblies, while the grille is relatively unchanged. The rear end of the revised 500X, as seen in our spyshots, will get modest updates courtesy of revised tail lights gaining colour-coded inserts as seen on the recent Fiat 500. Judging from the camouflage shrouds on the rear bumper, revisions can be expected here as well. The 500X will also gain updates to its interior, on top of the minor changes seen earlier this year. Under the hood, the Fiat 500X will continue to feature a range of petrol and diesel engines. Among them will be the 1.0 litre, three-cylinder FireFly petrol turbo with 120 hp, while the diesel line-up will include the 95 hp, 1.3 litre MultiJet II, 120 hp, 1.6 litre MultiJet II and the 140 hp, 2.0 litre MultiJet II. 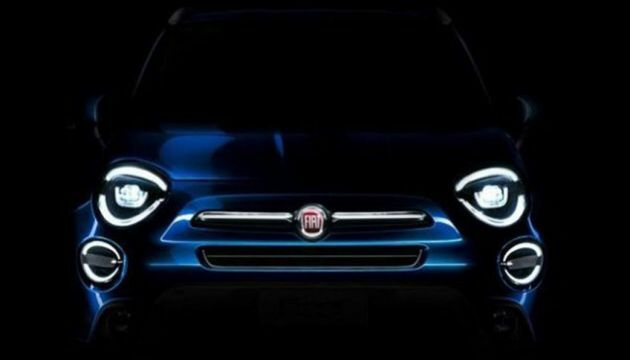 The Fiat 500X facelift is set for a debut in the Northern Hemisphere autumn, though it will likely be on its own as Fiat Chrysler Automobiles has announced that it will not be present at the Paris Motor Show this year.